On the D1 chart the instrument is trading between the center and lower lines of Bollinger Bands, the boundaries of the indicator are expanded. MACD histogram is in the positive area keeping a signal for the opening of long positions. Stochastic crosses the oversold zone from above, forming a signal to open long positions. 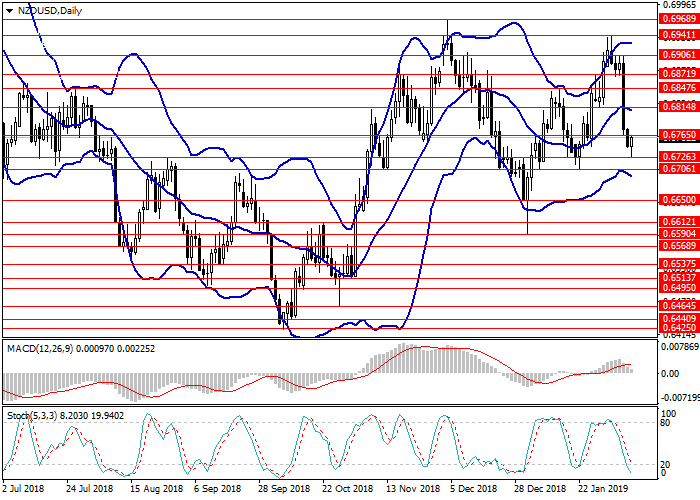 On the H4 chart there is an upward correction, the pair is trading near the lower line of Bollinger Bands, the price range is expanded, which indicates a probable continuation of the decline after the correction. MACD histogram is in the negative zone, the signal line is crossing the body of the histogram from above forming a signal for opening short positions. Stochastic is crossing the oversold zone boundary from below, forming a signal to open long positions. Resistance levels: 0.6765, 0.6814, 0.6847, 0.6871, 0.6941, 0.6960. Support levels: 0.6726, 0.6706, 0.6650, 0.6621, 0.6590. 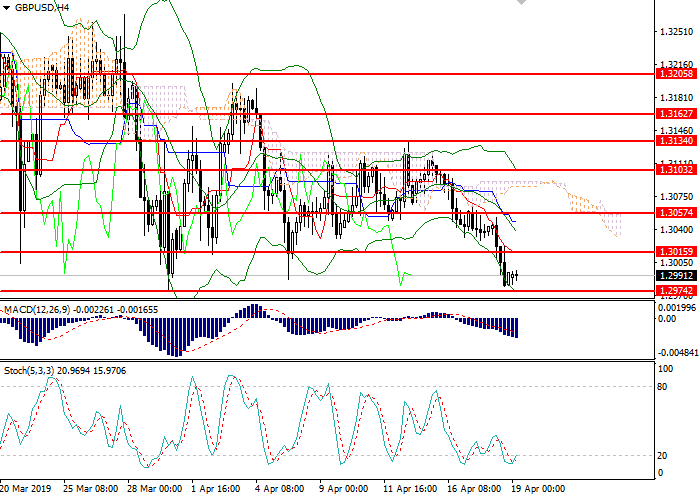 Short positions may be opened from 0.6700 with target at 0.6650 and stop loss at 0.6730. 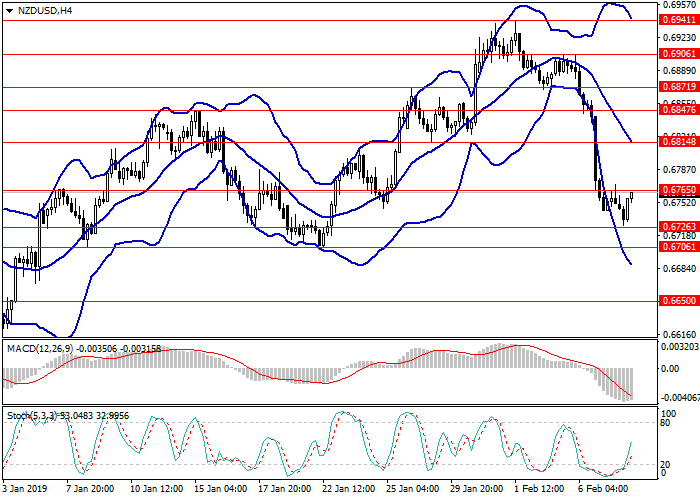 Long positions may be opened from the level of 0.6770 with target at 0.6840. Stop loss — 0.6730.